If you look at your wardrobe and see clothes you love but some how they don’t look good on you any longer but you hate to give them away, try refashioning. Did you see Melissa McCarthy on the red carpet at Golden Globes? Her stylists refashioned! 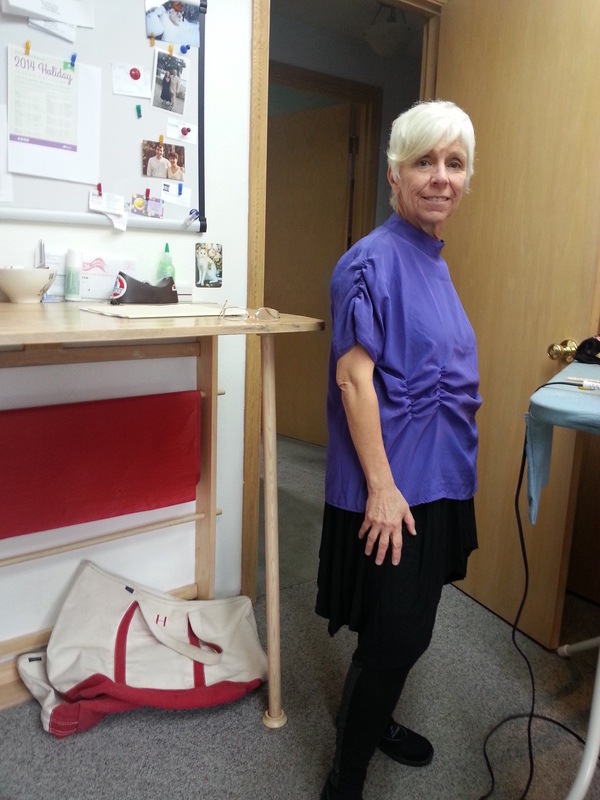 If you are unsure of your skills, head to the Goodwill and buy an inexpensive skirt, dress or top for practice. My sister bought a lovely silk sleeves top we planned on refashioning to a vest. It didn’t work but it was only out $3.00! It is easier to go shorter than longer. With a long hemline you can make it a handkerchief hemline, bias or just shorten it up. A dress can become a tunic or even a blouse. Whether it is a dress or a top you can shorten a sleeve length. You can add rouching to give it some style while shortening it. Add pockets to a skirt from a different fabric. Add a neckline trim of a contrasting fabric to a top or dress. Nothing refreshes an old coat then new interesting buttons. Beautiful buttons can be found anywhere from the Goodwill, fabric stores to artists’ markets. Add or make a belt. Similar to buttons, an interesting belt can add new life to an older skirt, dress or outfit. Cloth belts can get refashioned with some new material easily. Have you tried your hand at refashioning?